Good Dog | The Kids Beat | Kids VT - small people, big ideas! 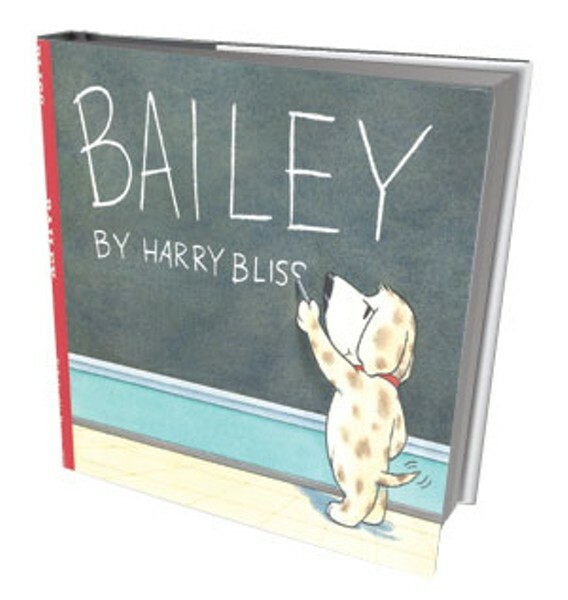 New Yorker cartoonist and children's book illustrator Harry Bliss introduces readers to the top dog at Champlain Elementary School in his new children's book Bailey. Bliss, who lives in South Burlington, uses humor to bring Bailey to life. He says his love of Charles Schultz's "Peanuts" inspired Bailey's creation. "I grew up loving Snoopy, and that independence he had," he explains. Kids and parents will identify with Bliss' smart dog who misses the bus and makes a mess in art class, but who also loves math and gives a presentation on FDR's "first friend." And the clever details — from the daily affirmation hanging by Bailey's mirror to the "Hound Dog" lyrics Bailey belts out in music class — will keep you entertained the second, third and fourth time you read this book to your kids. Bliss has coauthored and illustrated several other kids books inluding A Fine, Fine School, Countdown to Kindergarten, and A Very Brave Witch. His comic strip for adults appears weekly in Seven Days. Bailey: Published by Scholastic Press and available in hardcover, $16.99. Info, harrybliss.com. Our Summer Camp program features over 70, week-long, half and full day camps for ages 6 - 18 in clay, printmaking, photography, digital design, painting, drawing & jewelry. 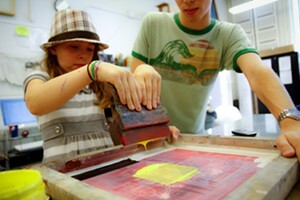 Join us for a fun, creative and hands-on summer in our studios! Full and partial scholarships available. BCA members receive 10% off!